Fasting has been all over the media as of late and has become very popular thanks to mainstream attention. It’s been around for thousands of years and is a very powerful method for improving health and, as a byproduct, losing weight. I began fasting towards the end of 2012 and had some great success with it. In 2013 I didn’t do it much although, I did try different methods of intermittent fasting, e.g. eating a fully daily calorie intake in a six hour window. I didn’t have as much success with that particular method however, other people say that it’s worked for them. I restarted again nearly 7 weeks ago and so far I feel good, I’ve lost 15lbs, I have more energy, I feel a sense of accomplishment, and I feel more emotionally stable. Some of those lifestyle-diet choices just didn’t work for me because I missed certain foods too much. I don’t aspire to be a total health freak. I want to enjoy foods I like without being made to feel guilty but, I want to do it in a way that doesn’t harm my health. My personal choices are that I don’t have alcohol but I occasionally enjoy a bar of chocolate; I love my morning cup of coffee; I enjoy eating fish once in a while; Once a year I enjoy a cigar. I actually like experimenting and exploring and so I didn’t want to embark on something that said I could never not eat what I choose to eat. This is one of the reasons that intermittent fasting appeals to me. I still eat whatever I want and, on the days which I fast, I restrict myself to 600 calories. Fasting has been found to have a huge number of health benefits. Fasting has recently picked up the attention of a huge number of health professionals and scientists who generally agree that it has the potential provide some wonderful health benefits for people whilst they still enjoying everyday foods. The very notion of saying you’re going on a diet is tantamount to a temporary solution. Most diets are short-term and, as a whole, I don’t agree with dieting. My simple rule is, if I cannot sustain a diet for life, then I’m not going to do it. Dieting very often leads to yoyo-ing. Fasting is more like a lifestyle choice; to be incorporated into your routine. More importantly it assists the mindset of overcoming things like comfort eating, overeating, boredom binging, and all of those kinds of conditions we’ve created for ourselves in the 21st century. Remember, there are no hard and ‘fast’ rules for fasting. If it’s an idea resonates with you, as it did with me, then perhaps try a few different methods to see what yields you the best results. A typical fast day for me is, A hot soup for lunch. Something like Butternut Squash, Lentil, or Chunky Vegetable. Then, in the evening, I’ll have a home blended smoothie with some banana, pear, nuts and seeds taking my overall total intake to around 600 hundred calories. If this sounds like something that may work for you and you want to get the most out of it. Here are my awesome tips that helped me, and can help you too. As always, if you planning a diet change, run it by your doctor first to make sure it’s suitable for you. One of the principles of Intermittent Fasting is to consume up to 600 calories on a fasting day. I adhere to that but, in addition, I added another stipulation of my own to also see what the effect would be. The stipulation is no caffeine or sugar. By sugar, I mean beverages that contain sugar like coffee or fizzy drinks; it doesn’t include a healthy natural home-made smoothie. I also avoid energy bars, as they can be loaded with sugar. I abstain from chocolate and sweets, and lastly, sugar from a packet, both brown and white. By doing this you will slowly remove your dependency on sugar, and the ‘sugar fix’. On a day you’ve been fasting, you may go to bed feeling hungry and feel like the next day you’ll want to devour everything in your kitchen! Don’t worry, that never happens. On the day after a fast you probably won’t even wake up hungry. Many people have reported that in fact it takes them time for any hunger to set in. It takes me about a hour, so what I do is hold out on eating anything, until I feel hungry. Do this and you will naturally set your body to it’s natural metabolic cycle. In the early stages of fasting, you may find that you become preoccupied with food because of the hunger. Find a wonderful distraction. Two great ones that I use are i) My Rubik’s cube. When I distracted by the hunger or the need to fight boredom with food, I picked up my squeaky trusty cube and began to solve it. ii) I spent lots of time watching inspiring videos to keep my mind invigorated by other things. Sometimes, instead of a smoothie in the evening, I’ll make myself a veggie burger and salad which can be very low in calories, yet very filling. If you find you get hungry quickly, try this option, you’ll feel full and satisfied before going to bed. It’s naturally to want to pig-out after a fast. It’s ok if you feel that way, don’t worry, there’s nothing wrong with you. Even if you do decide to pig-out a little, don’t worry. Fasting will cause your stomach will shrink hence, your appetite will reduce, and you won’t be able to consume as much. Try not to make yourself feel guilty either. Doing so will reinforce the cycle of comfort eating. Just accept it, eat mindfully and then move on. Fasting may or may not work for you. However, it’s really helped me and I believe it will help you too. If you’ve got any questions or your not sure where to begin, leave me a comment and I’m more than happy to share some thoughts and ideas with you. Since you’ve been amazing and read this awesome article, I’ve included 3 bonus tips to help you through your fasting journey. 1. During fasting you may feel a little cold. Your body temperature may drop. If that happens get up and move around. It’s an added bonus as you’ll burn more calories and therefore, burn more fat. 2. Fasting will be difficult at first but stick to it. It will assist in increasing your discipline and commitment. When I first began I had to use every ounce of my will-power to not give in! It’s still a challenge, but it gets a little easier over time. As a result, food cravings no longer control me and you’ll be in the same boat. You won’t be a slave to food. 3. On a fasting day you may feel very tired. That’s a good thing! 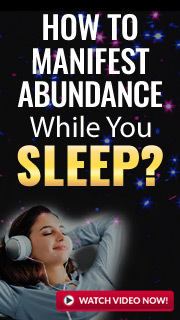 It can reset your natural circadian rhythm and so force you to sleep earlier. Your body with thank you for it. I promise! If you decide to take it up, best of luck, and I will only be too glad to support you on your journey.